Milwaukee Tool Torch™ Sawzall® Straight back hacksaw blade comes with 10 TPI for effective cutting. It has a dimension of 1-Inch x 12-Inch x 0.042-Inch thick. 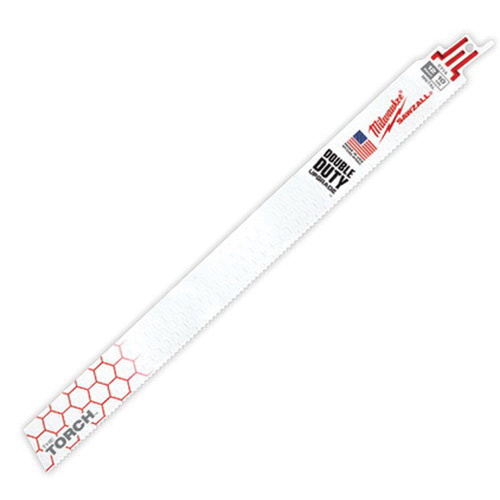 The Grid Iron™ honeycomb pattern enhances blade rigidity to resist blade buckling. It easily cuts scheduled 80 pipe, threaded rod and metals.